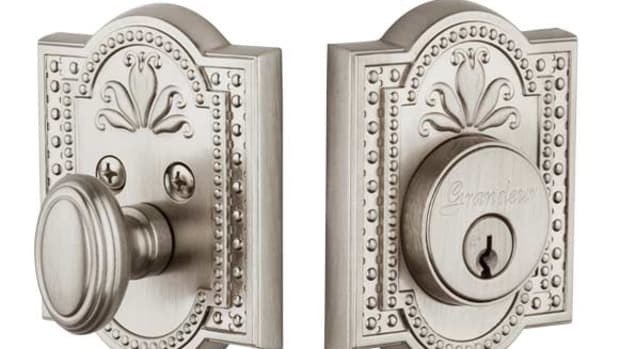 Period Homes is the ultimate resource for professionals working in residential architecture in the classical style. Every month, our editors will hand-pick selections from our features, profiles, and projects--not to mention our comprehensive Buying Guides. 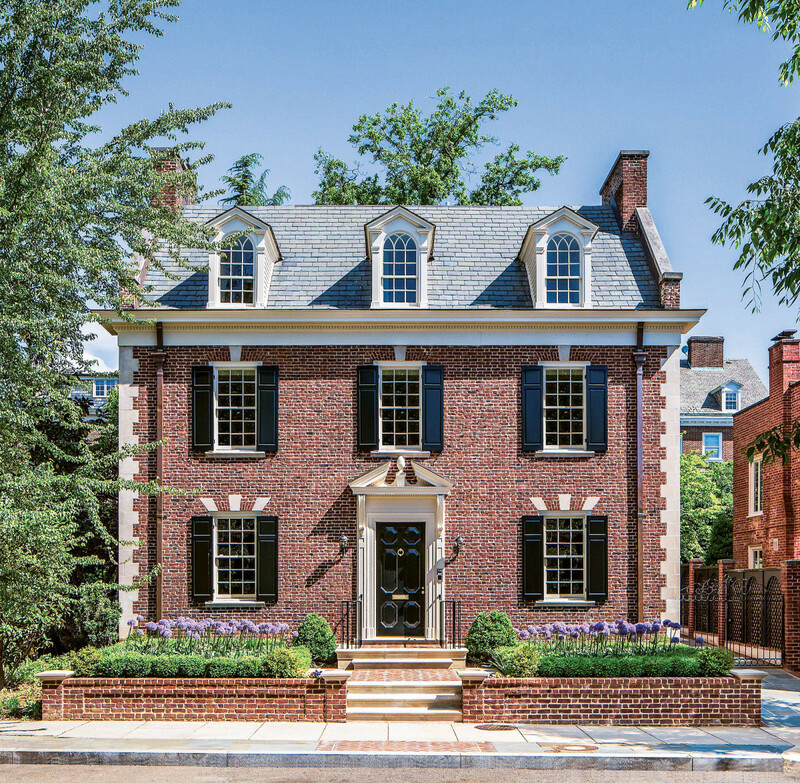 Our May edition features Donald Lococo Architects modernization of a traditional home, how architect Tom Kligerman brings an early 20th-century gem out of the shadows and into the light, building with natural stone, and more. 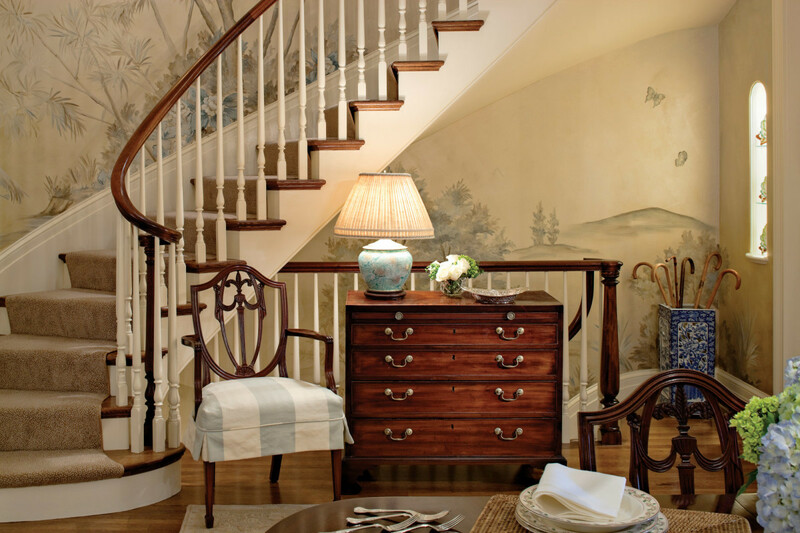 The stairway’s dramatic mural, of a pastoral landscape, unifies the space near the entry to the townhouse. Interior designer Thomas Pheasant has been designing celebrated home furnishings for more than 15 years. A new brick retaining wall at the edge of the sidewalk restored grandeur to the home, adding a visual pedestal. Ferguson & Shamamian recreate the vocabulary of an original Spanish Colonial house in Santa Monica. A Shaker-inspired farmhouse created by Jones & Boer Architects is a striking composition against a bucolic backdrop in Maryland. 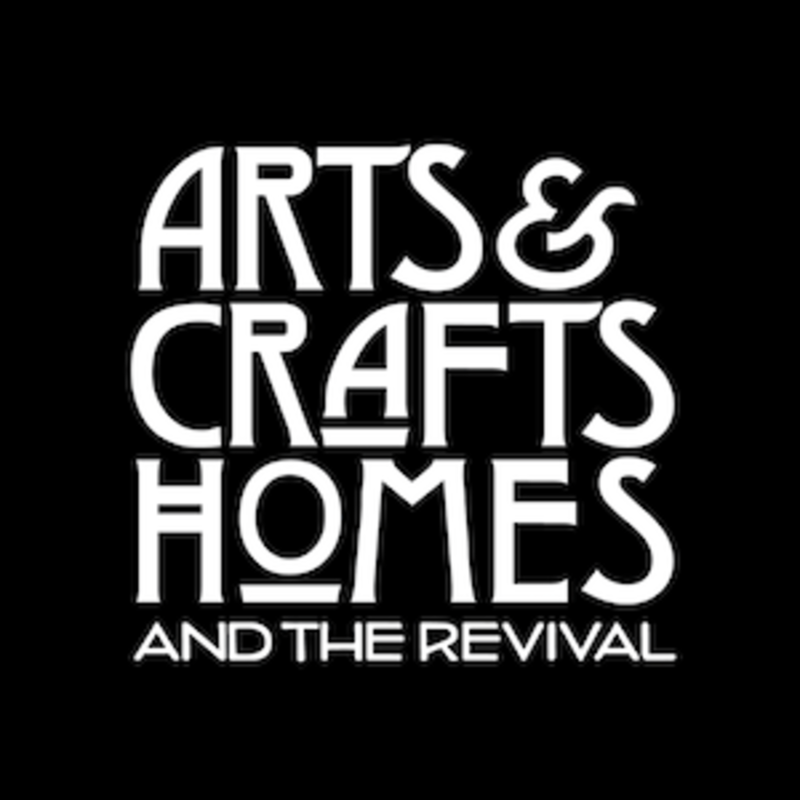 See the latest in public/commercial design & building on our sister site, Traditional Building. To evoke a feeling of there being a hearth in the kitchen, Kligerman framed the stove alcove with terracotta moldings. 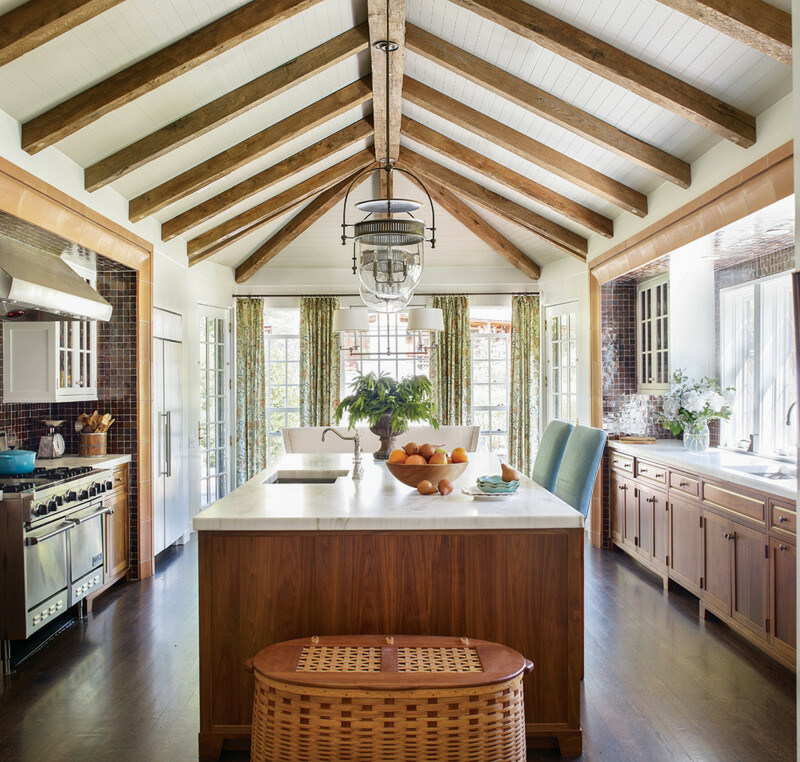 Warm-toned Moroccan tiles, rich walnut base cabinets, and splayed wood ceiling beams add to the cozy ambience. Focusing on proportion and purpose, architect Tom Kligerman brings an early 20th-century gem out of the shadows and into the light. Historical Concepts designs luxury apartments that reflect the Durham, North Carolina, neighborhood’s industrial past. TS Adams Studio designs a Low-Country French Creole cottage that meets a planned community’s architectural guidelines. Veneer stones in random, mixed colors and laid in irregular shapes and joints complete the bulk of the façade of this covered entrance. We speak with Old World Stone, the New York State Office of Parks, Recreation and Historic Preservation, and Stone Details about dressing townhouses with dimensional stone. 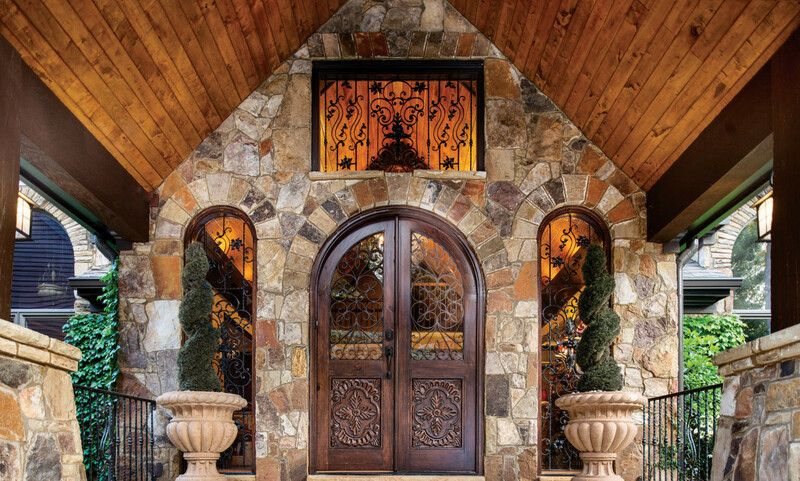 Regardless of its traditional style, the front door, the signature of the home’s architecture, is designed to make a grand entrance.s. 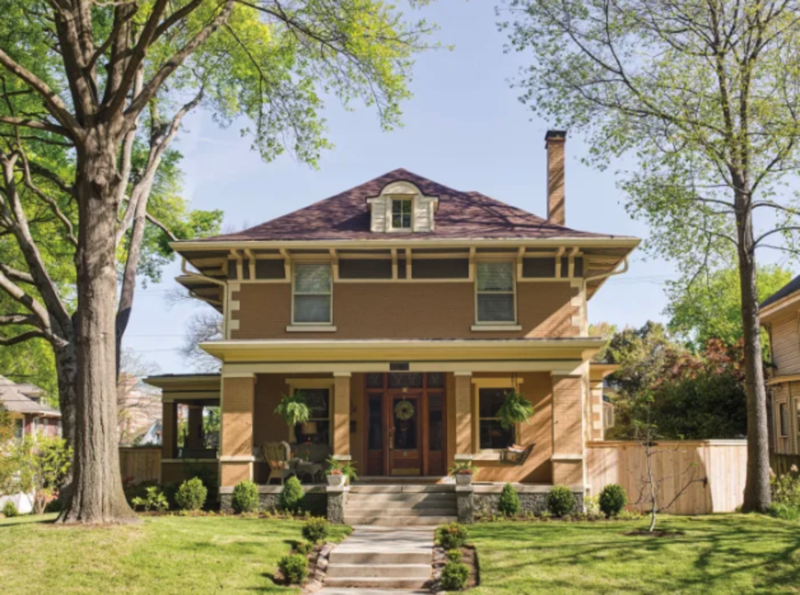 Built in 1903, the Prairie-style American Foursquare was built in materials including brick, stucco, and wood. Details include corner quoins and brackets in the eaves. The 1903 house in Memphis, Tennessee, is a boldly detailed example of the Midwest Prairie School genre on the familiar foursquare type. The well-preserved house never looked better than now. A collection of architectural salvage played a role in the restoration of this handsome Shingle Style house. To replace nondescript space in an old house, an architect designs a hard-working “modern Craftsman” kitchen for a friend who has strong ideas about design and function. 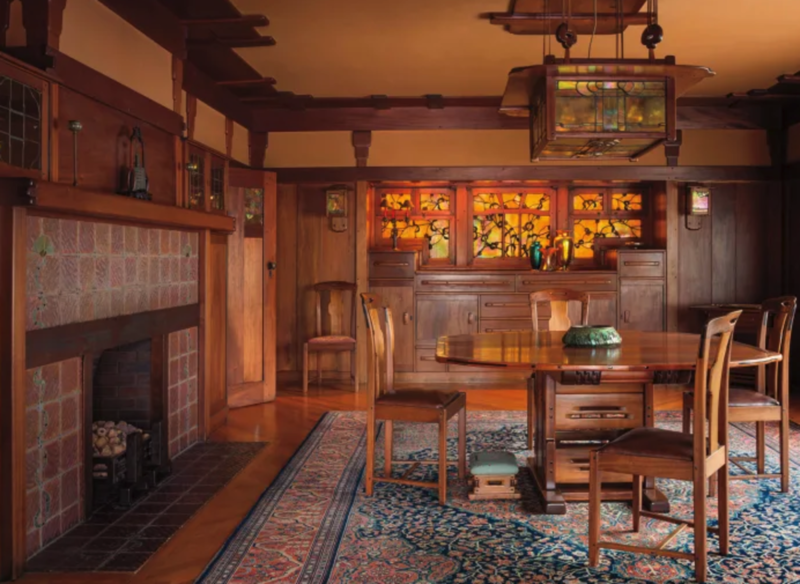 Japanese influence permeates the dining room, the most formal room at the Gamble House. Note the fine details in woodwork, stained glass, and tile. Paneling is red-brown mahogany. Like the house, the furniture was designed by the brothers Greene. Framed by a stepped arch, this gem of a kitchen stars in the sensitive renovation of a 1920s bungalow. Tradition runs strong on Crane Island in Lake Minnetonka: the new house had to look like it was built in 1910.